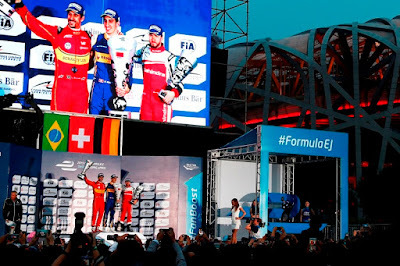 The sanctioning body that sponsors Formula 1 has put together the elements of an electronic-powered, self-contained, open-wheel, 11 venue world-wide high-speed automobile racing series known as Formula E.
Last year (2014-2015 season) was a first year of the multi-year agenda to make viable motorsports racing using 100% electric power generated solely at the event site itself. Glycerine, a substance that looks and tastes like a clear Karo syrup, is a carbon-neutral non-toxic replacement for diesel used to power special diesel electric-power generators which produce enough clean-energy to meet the needs of the race cars and the paddocks that support them. The aim is to show what is possible, improve technologies through competition, and allow all involved to have fun in places rarely exposed to high-speed motorsports, city streets-course racing. Race teams are staffed with two drivers that are provided with two cars to use during the race. 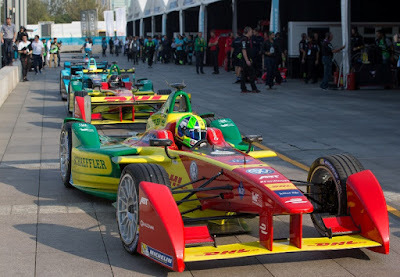 Since the electric engines develop a very strong power response, in order to include strategy and allow for enough driving time during the race to be entertaining, a pitstop is included where drivers change cars after the first car's on-board power has been depleted, then continue racing to the end. The driver who is able to manage the depletion of his car's power reserve, perform a flawless pitstop car change, have the best set-up on technology and balance, stays out of contact trouble with other drivers and the track, usually wins. Drivers and teams come from several backgrounds and countries ... it is notable that even though this series was developed and managed from Europe, two American race teams are there to compete in earnest - Amlin/Andretti Formula E Race Team and Jay Penske's Dragon Racing. October 24, 2015, Beijing, China hosted the first race of this 11 venue second season, the SWUSP Beijing ePrix. Sebastien Buemi started the second season of the FIA Formula E Championship in perfect fashion becoming the first driver to ever score the maximum possible points haul of 30 points. After taking the Julius Baer Pole Position in the the new Super Pole shoot-out, the Swiss ace then went on to dominate the SWUSP Beijing ePrix setting the Visa Fastest Lap in the process to complete a unique hat-trick. “It was a good race. It’s a bit of a weird feeling because I felt I was a little bit on my own, but I would not be against that. It’s good to win with a bit of a margin. “I’m happy, the team has done a great job and Renault has done a good power train so I’m just looking forward to the next races right now. I think we even managed to have the fastest lap, which was very difficult last year." 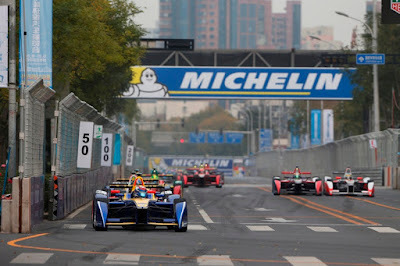 Buemi admitted he didn’t make the best of starts, but he fended off the fast-starting Mahindra of Nick Heidfeld into the first corner to hold the lead. From there on after he dominated the race. His ability to stretch his lead was stymied twice by the intervention of the Full Course Yellow. This caution system was making its Formula E debut and was given a thumbs up by the drivers. Buemi didn’t quite lead every lap, however. He was the first driver to pit for his mid-race car swap, which allowed Dragon Racing’s Loic Duval to spend a lap at the head of the field before he too came in to change into his second car. The pitstop process proved to be Hedifeld’s undoing, and as the team struggled to get his belts fastened he lost places to di Grassi and to Renault e.dams Nico Prost. 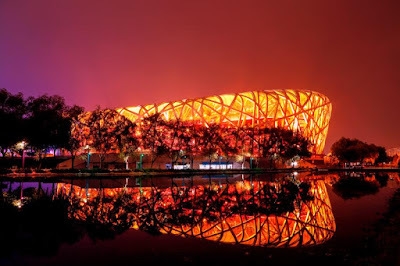 A fine opportunistic move took him back ahead of Prost, and the pair, who famously duelled for victory in season one only to end with a spectacular accident, once again went wheel-to-wheel around the Beijing Olympic Park circuit. Prost eventually came out on top, but there would be no podium celebration again for the Frenchman. For reasons the team are yet to ascertain, the right-rear wheel guard fell off his car, breaking the rear wing support in the process. Although Prost was able to continue at race speed, the car was considered to be mechanically dangerous and he was shown the black and orange flag by the race officials. This forced him into the pits where he retired. This promoted Heidfeld back into third place to score the first ever podium finish for the Mahindra team. During the closing laps there was a fantastic duel between Heidfeld and the Dragon Racing team-mates Duval and Jerome D’Ambrosio. There was less than two seconds covering them as they crossed the line. The new era of Formula E is here. 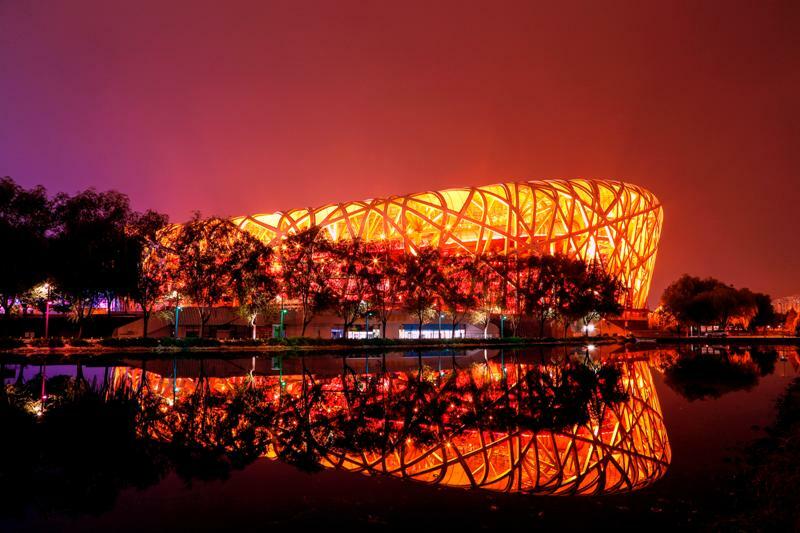 The racing was as spectacular as ever and with 76,000 people attending the Olympic Park during the event there was a fantastic atmosphere. 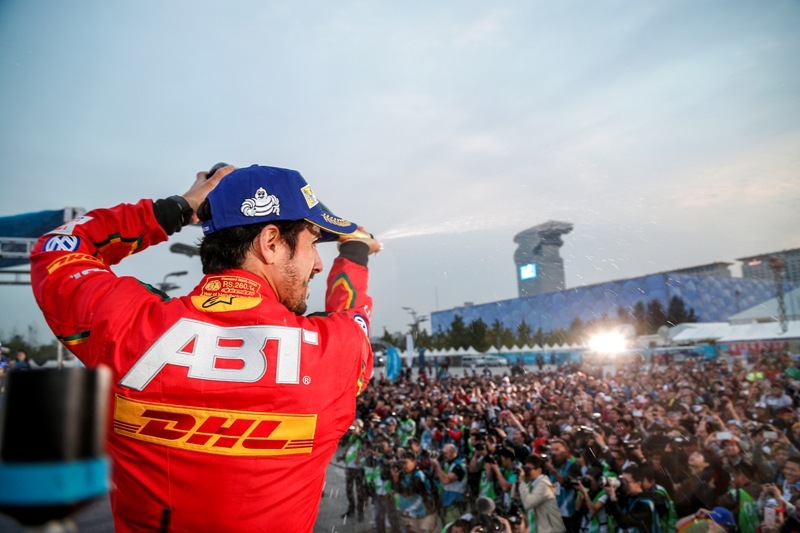 But Buemi’s rivals will be hoping that his incredible start to the season can’t stand the heat of Putrajaya, when Formula E returns on November 7. 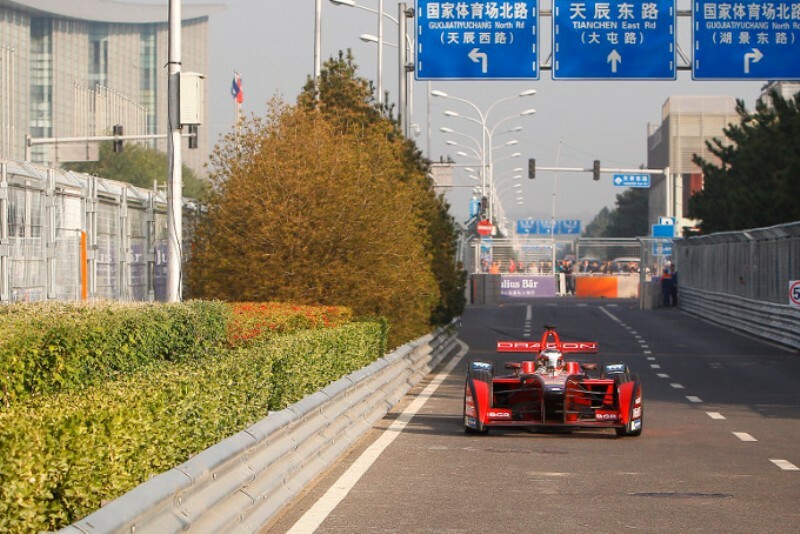 Putrajaya, a city nearby Kuala Lumpur in Malaysia, hosts the second round of this second season of the fully-electric FIA Formula E Championship - November 7, 2015. The city of Putrajaya was created in 1993 in order to become the federal administrative capital of Malaysia and is located roughly 30 kilometres south of the capital Kuala Lumpur. The name of the city literally means ‘princes’ (putra) ‘success’ (jaya). It is an open and green city where many iconic buildings have raised recently, like the pink coloured Putra Mosque, the Seri Perdana (enormous official residence of the Prime Minister) and the Millennium Monument, but also beautiful gardens like the Taman Putra Perdana and the Putrajaya Boulevard are worth visiting. Fans can give their favorite driver an extra speed boost by voting for them both prior to and during the opening six minutes of the race. Voting opens 12 days prior to the race with the three winning drivers receiving an additional 100kJ of energy in their second car only to be used in a power window of 180kW and 200kW. When deploying FanBoost it can only be used once, a series of short bursts will not be possible. 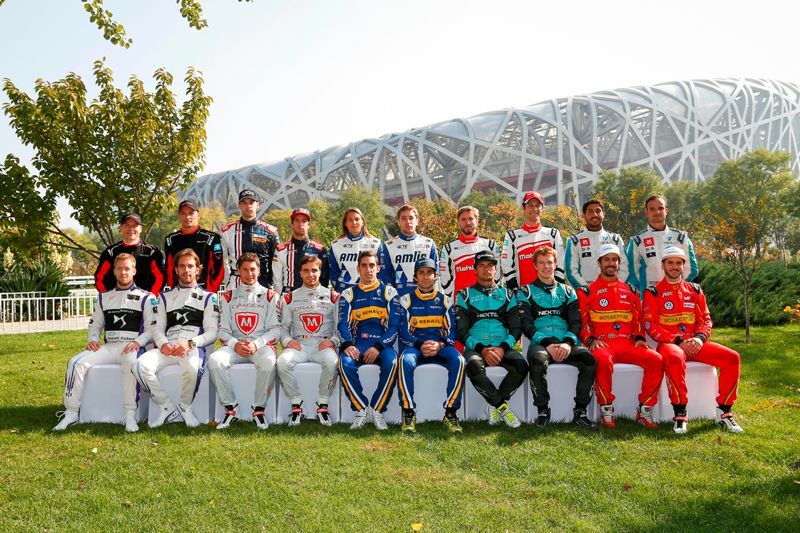 DS Virgin Racing’s Jean-Eric Vergne leads the early running in the FanBoost vote for the Putrajaya ePrix. 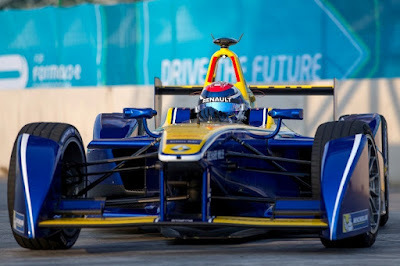 The Frenchman was a five-time FanBoost winner in season one and is on course for a sixth win ahead of the November 7th race. Nick Heidfeld, fresh from securing Mahindra’s first podium position in Beijing, lies second, while his team-mate Bruno Senna is currently third. The Brazilian is a four-time FanBoost winner, but hasn’t received the fan vote since Miami in March during the 2014-2015 season. Runway Racing Top Speed Challenge, an invitation only straight line racing event, was held during this last weekend in September at Mojave Air and Spaceport, also known as the Civilian Aerospace Test Centre, located in Mojave, California, at an elevation of 2,791 ft. The predicted late afternoon temperature of 99 degrees was met with little wind (flowing from West to East) to aid in pushing the vehicles to even higher marks. Several recognizable speed organizations showed up to see what could be achieved on the Spaceport runway used by Virgin Galactic/The Spaceship Company, National Test Pilot School, Scaled Composites (which conducted the first privately funded human sub-orbital flight with SpaceShipOne on June 21, 2004), and other aeronautics enterprises located on-premises for testing. 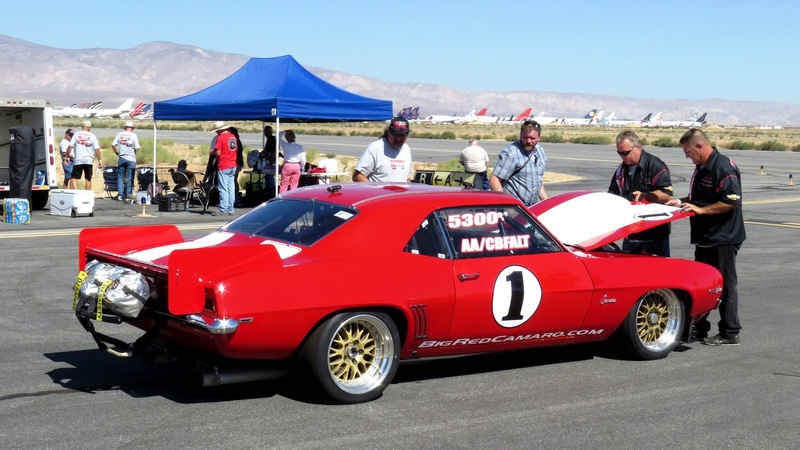 The fastest vehicle to post a very high speed was put up by the famed specialty competition 1969 Camaro SS known as Big Red. Big Red is a featured star of a cable TV program aired on NBCSN titled "Big Red - The Original Outlaw Racer" - Mondays and Wednesdays. After taking to the runway track for a few shake-down runs, the parachute outfitted Chevy was able to check-in with a mile and a half speed of 243.5mph. To place this into perspective, the world speed record in an open wheel race car happened during qualifications (Auto Club Speedway) is 241.428mph (388.541 km/h) set by Gil de Ferran, October 28, 2000. This mark stands as the fastest lap speed ever recorded by a racing vehicle at an official sanctioned racing series event meeting (this includes Formula 1). 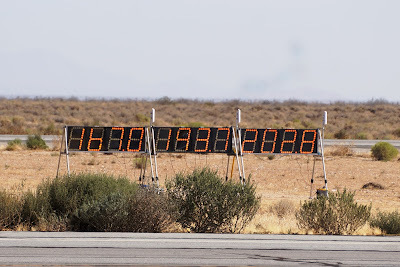 Steve Huff, piloting the only motorcycle in attendance, made two world record setting top speed runs at the Runway Racing LLC Event held at Mojave Air and Spaceport. 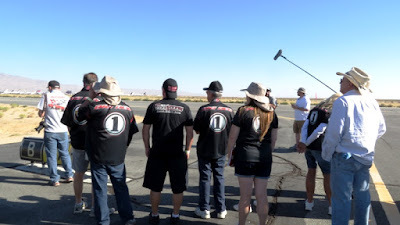 Those gathered at the event witnessed the two run, with Exclamation Point, world record 200 mph barrier breaking runs by Steve Huff Motorsports with his 80ci/1,339cc Destination Harley Davidson Buell XBRR. The first run, a shakedown run, Steve hit the NOS boost at 3rd gear giving the motorcycle a record run at 200.5mph before 10:00am PT - the second run, after adjustments and applying the NOS boost at 2nd gear gave the Buell-powered, aerodynamically-wrapped bike a pass at 202.8mph, besting the previous run and giving an "EXCLAMATION POINT!" (Steve's term) to all who attended the invitation only Runway Racing Top Speed Challenge event. In a post first run interview, Steve was most happy with the fact that besting this 200mph hallmark was a milestone for any motorcycle powered by a sub 1500cc size push-rod technology engine (as stated in the interview audio - YouTube included below). “Being the first 80-inch push-rod motorcycle to go over 200mph is something I am really proud of,” said Steve Huff. Those who are familiar with Steve Huff and his multi-year quest of hitting the 200mph mark, know it has been a long hard road of development and fighting through injuries suffered in his unrelenting pursuit. 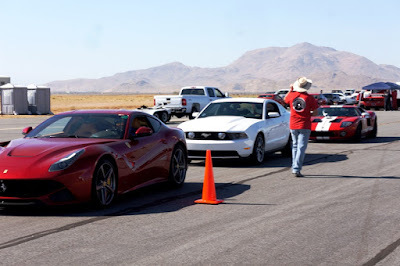 Huff breaks 200 mph barrier at the Runway Racing LLC event in Mojave, CA last weekend. 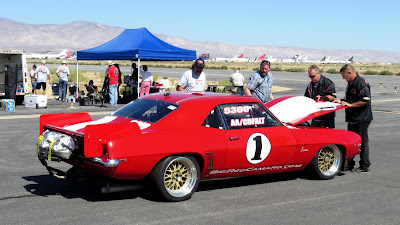 Surrounded by blown GT 40's, Porches, Ferraris, GTRs, and the like; Steve Huff Motorsports on the Destination Harley Davidson Buell XBRR executed a top speed at 202.8mph on the 1.5 mile course.Runway Racing LLC put on a great invitational event at Mojave Air and Spaceport. Steve Huff Motorsports will be attending the rescheduled Mike Cook’s Shootout the second week of October at the Bonneville Salt Flats, giving Huff the opportunities to break the records for AMA 1350APS-PF, AMA 1350APS-PG and FIM World Record. 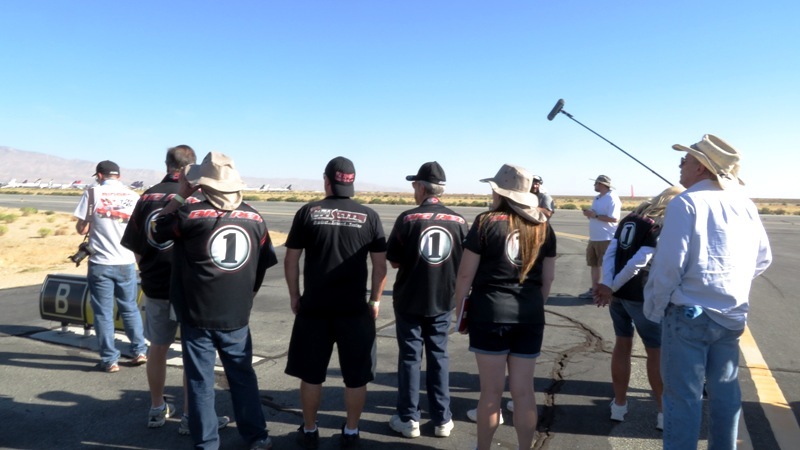 Huff and the team will be at El Mirage Dry Lake Bed October 17 – 18th for the SCTA event. 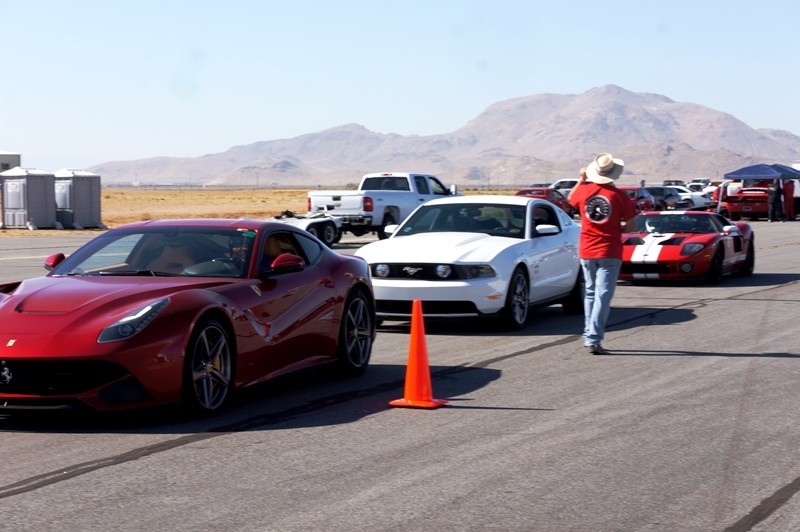 While the organizers had expected that the limit of 30 invited vehicles to be taking runs at the event, about only 18 vehicles took runs leaving those in attendance with a lot of extra time to look at and investigate the different cars and how they might have been set up. Two world record motorcycle runs and a top speed of 243.5 by Big Red to be seen on a NBCSN Cable TV program made for a very fulfilling event.